Apps like Instagram seem to have made everyone with an iPhone think they're a photographer, but we all know better. It's kind of like when blogging made it's debut: anyone with hands and a computer thought they needed to blog, even if what they had to say was about as appealing as reading an IKEA instructions manual. With an influx of digital attention-seekers joining the photo-sharing app, it might be a little difficult to navigate the masses and sift through who's worth following and who to altogether ignore. 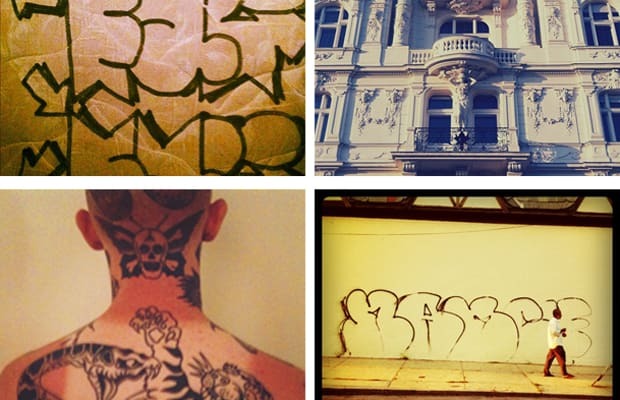 If you're into art, tattoos, graffiti, graphic design, photography and/or architecture, then YOU'RE WELCOME, because here's our picks for the 10 Photographers and Artists to Follow on Instagram.